The Word of God is health and life not only to our soul, but also to the marrow of our bones. God has taught me that His word is alive and powerful. When someone shares a verse from His Word, God wants us to actively incorporate it into our thoughts. We shouldn’t just read His Word but also ask God to make it abide within us. This verse talks about satisfaction. If we want satisfaction, we must be ready to invest. We can’t just decide one day and say, “Lord, I want to be satisfied with You for the rest of my days. I want to know the kind of love that is better than life. And I ask You to give it to me today,” and then expect that our needs will be met until we see Him face to face. It doesn’t work like that. Our needs are a daily concern. We wake up every day and have new ones. When we spend time with God, He convicts us about our attitude and motives. We get the privilege of pouring out our hurt to Him. It’s a good opportunity to remove from our cup anything that is false comfort. We pour our heart out in order to make room for Him because He wants to fill our hearts with His love. If we’re already full of our own anxieties and concerns, we don’t have very much room for Him. So it’s very important that we start our day pouring out ourselves and our needs to the Lord, allowing Him to meet us at the point of our needs rather than looking for others to satisfy the need. I’m not talking about a ‘prosperity gospel’ whereby we ask Him for ‘things’. I’m referring to being filled with our heavenly Father Himself. Our prayer should be, “Lord, satisfy me. Not with crumbs under the table but from the feast You’ve prepared for my soul. I long for You, fill me.” Not just what You can give me, I want YOU.” When we begin to approach Him like that and ask Him to rid us of the lesser gods in our lives, He’ll not only fill that cup, He will overflow it. Only God can satisfy our souls. One thing that is so incredible about allowing our Father to meet our needs first thing in the day is that our spouse or friend showers us with love later on, our cup overflows. But it’s not their job to initially meet the needs of our soul. Therefore, they enjoy the delight (and so do we) of causing this wonderful overflow. And what a difference that makes. 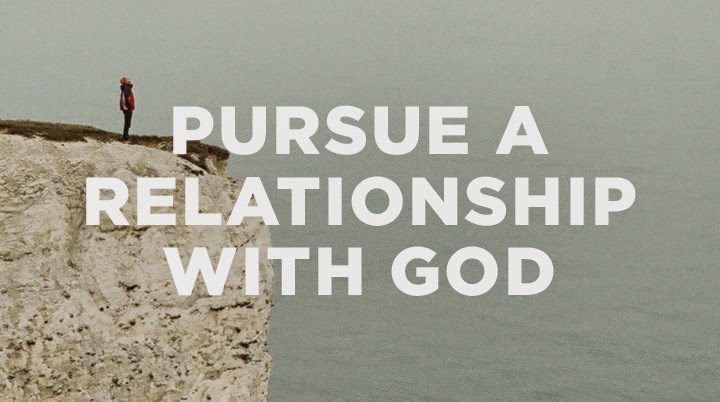 Want a better human relationship, work at a better relationship with God! Psalm 143:10- Teach me to do your will, for you are my God; may your good Spirit lead me on level ground. Hebrews 10:22-23- let us draw near to God with a sincere heart and with the full assurance that faith brings, having our hearts sprinkled to cleanse us from a guilty conscience and having our bodies washed with pure water. Let us hold unswervingly to the hope we profess, for he who promised is faithful. Psalm 5:11-12- But let all who take refuge in you be glad; let them ever sing for joy. Spread your protection over them, that those who love your name may rejoice in you. 1John 4:16a- And so we know and rely on the love God has for us.